Little sunshines project: a BIG thank you, BTS, and a KIT! I am feeling today like a sparkling rainbow! I discovered this morning that you have been a little more than a hundred reading My Little Sunshine story and that many messages where waiting for me to read on my FB chat. Wow! I would like to say a big thank you to all of you for your visit on my blog, and for all your heartwarming messages! This is definitely one of my biggest and precious Sunshine i have ever had since a long time. Some of your questions were about the material I am using and how to get started. How did you start and which material are you using? 1 album 6 x 8 with page protectors. Grid Project life cards.Project life pens. 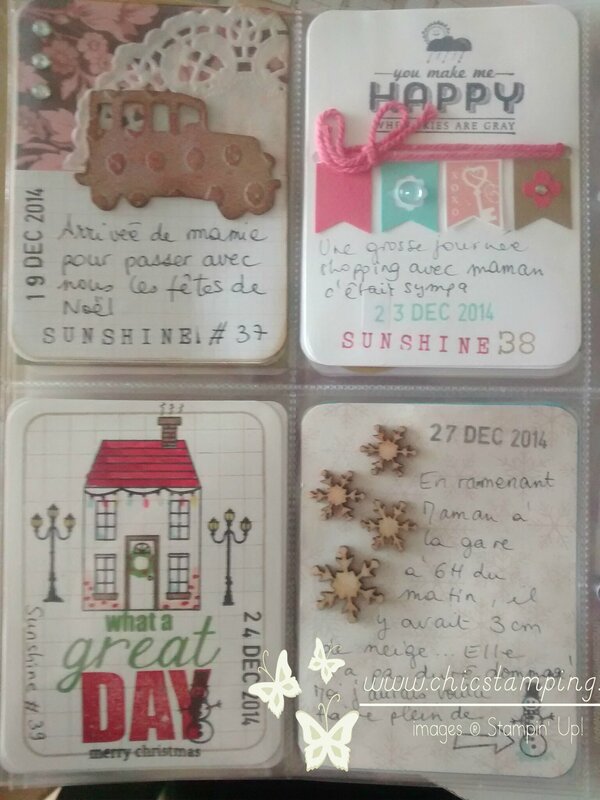 Small and fun stamps sets that fits in the 4 x 3 cards. When you have a few inkpads, matching color cardstocks, a few punches, all you need is a Sunshine to write about. But, because I love, love, love my Big Shot, and because I wanted my inks to match my cards, I also bought the Project Life card framelits to cut my own 4 x 3 cards. I love that they really fit perfectly into the pocket pages and I do not have to measure them!. Now to make it a little bit more fun, add some few ribbons, enamel dots, wood veiners, metal charms, old buttons, anything that you keep in your "i can use that later" little trash container. (I will be coming back on that later)... and off course punches and dies! Which brand are you using? 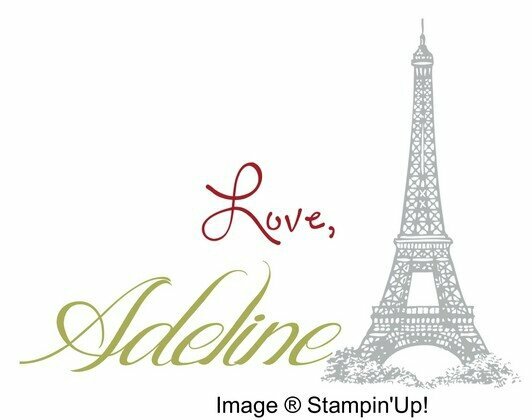 I am using Stampin'Up! and Technique Tuesday because they have really great small thinlints and coordinating stamps. And when it's matching, it makes it much more fun, quick and easy! 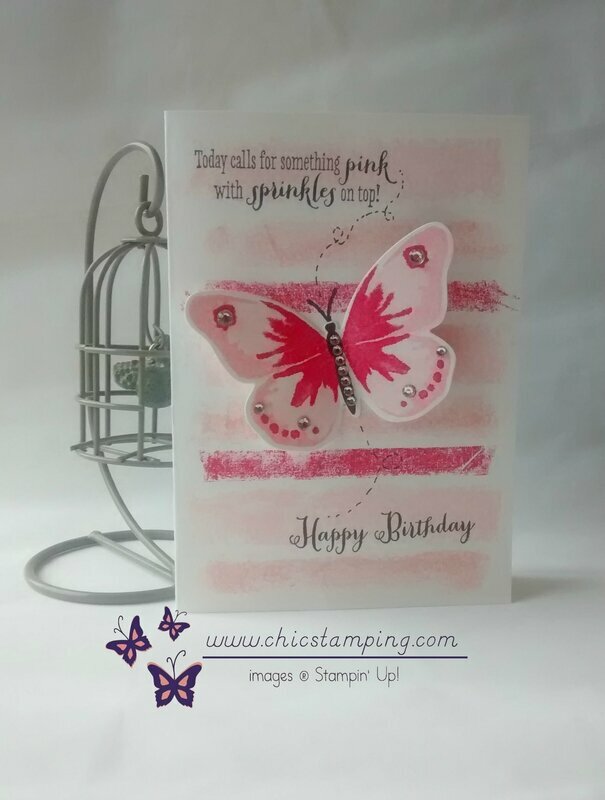 For papers and inks, only Stampin'Up! because I love their colors and I started my collection in 2008... and it still growing! Do you really create a card everyday? In the beginning, yes, it was making a card each day that helped me heal and helped me smile. Doing it everyday was helping me concentrating on the good little moments of my life. But some days, i was so tired that I just couldn't make one. So I kept a little book on my desk and wrote all my happy moments to create the cards later. I did my best to not have more than 3 sunshines on my list without making a card. Then I had the idea of making my cards as a group of 4, so that I had some prepared in advance. That was also speeding up the process when i had sunshines popping by! Can you create a starting kit? 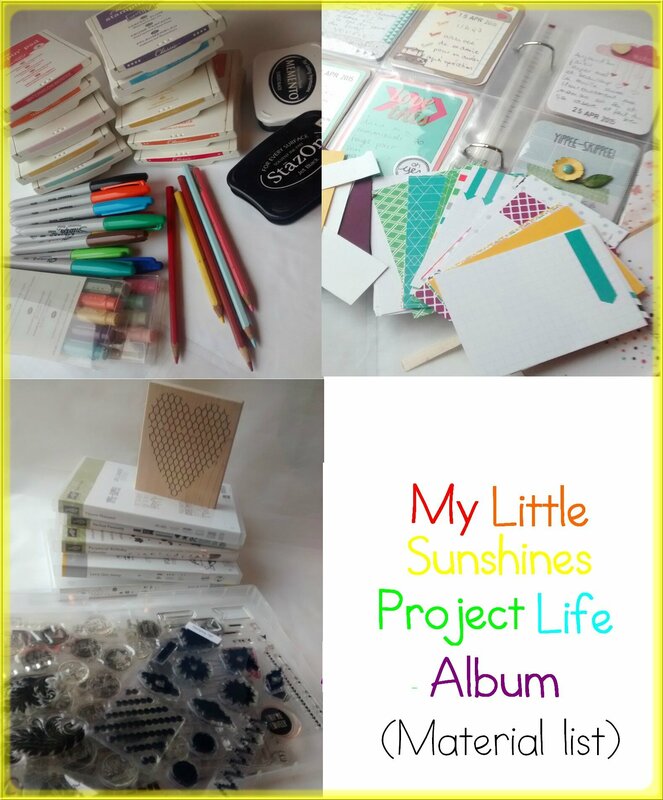 I will be happy to help you starting your own Little Sunshine album! 1 free pack of fun shapes, punched in the matching color cardstocks, a gift sent from Chic Stamping directly to YOU! 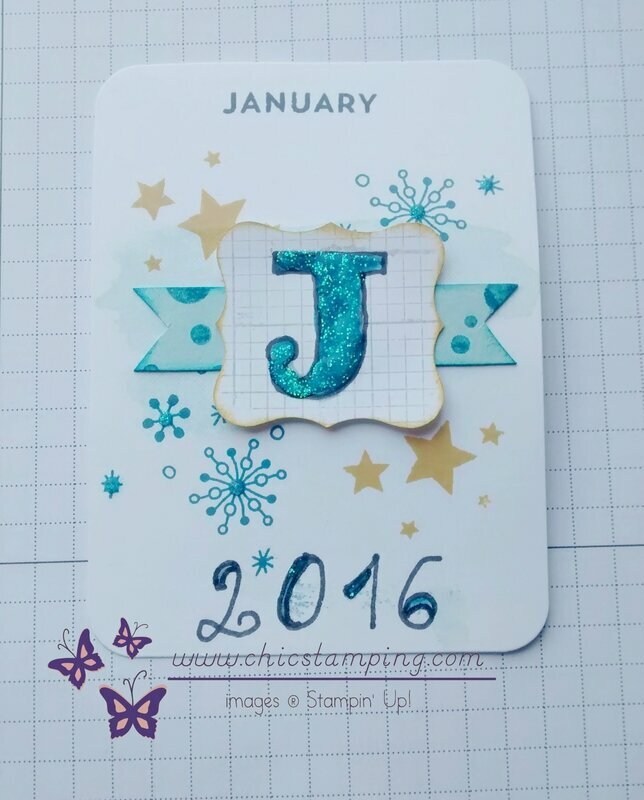 This essentiel kit is only available by Chic Stamping. During Sale-A-Bration (SAB ends thursday 31 march 2016!) you earn a free product too! Are you ready to start? Contact me at Adeline7674@hotmail.com to order your kit now. Comments Little sunshines project: a BIG thank you, BTS, and a KIT!